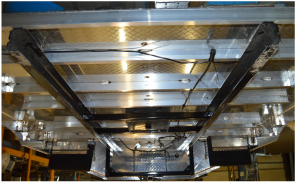 Our Aluminum Workbed gives a weight savings of 30% compared to the same model and size in our steel beds. 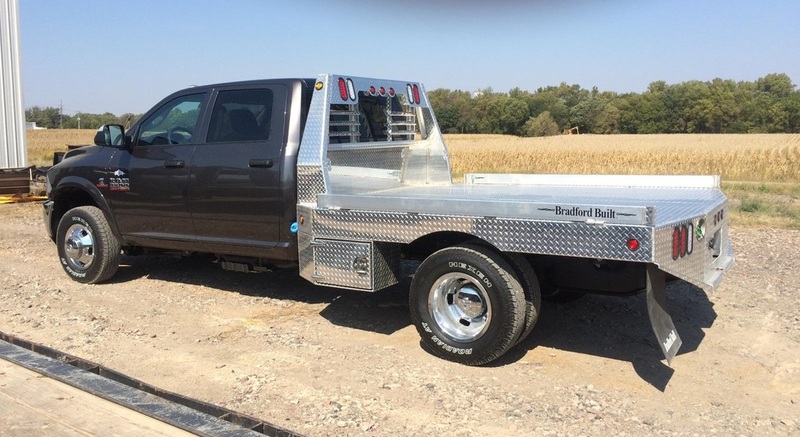 It starts with a steel frame and steel hitch components that are welded up, passed through and abrasive blaster then acid etched, zinc primed and powder coated. 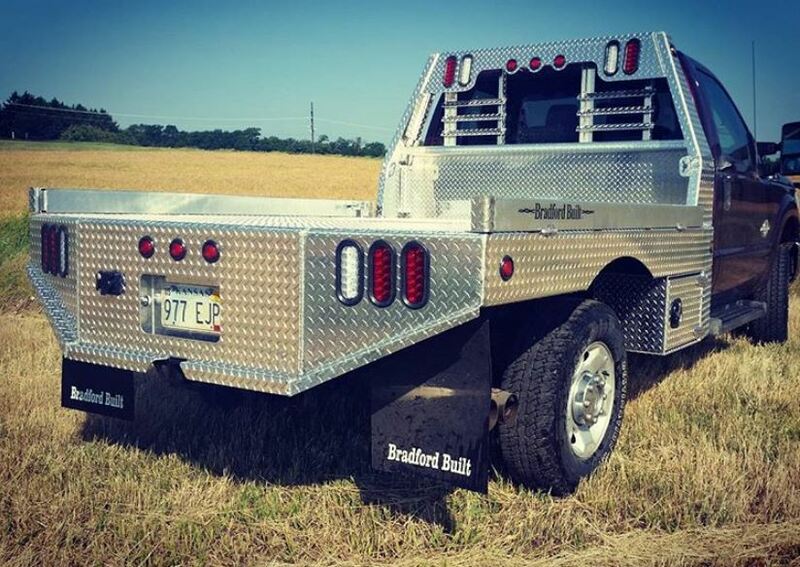 Aluminum cross members, a 3/16" thick tread bright deck and our classic Bradford Built formed headache rack finish out the bed. 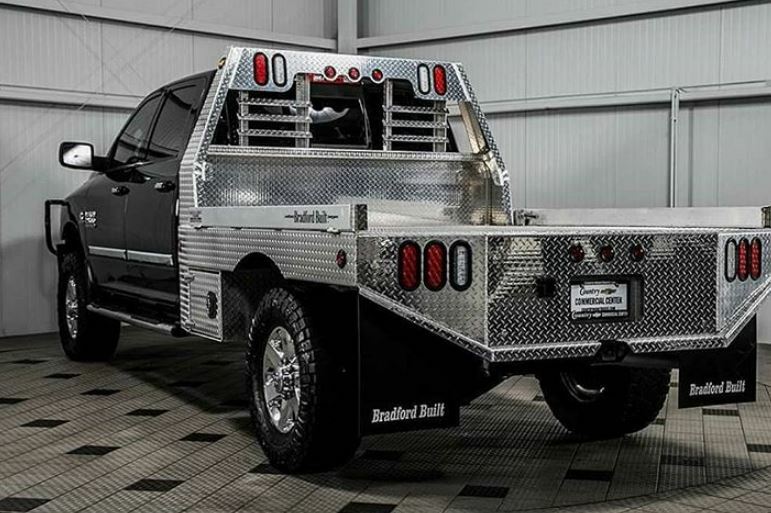 Sealed wiring harness and LED lights make the lighting and trailer plug functions trouble free. 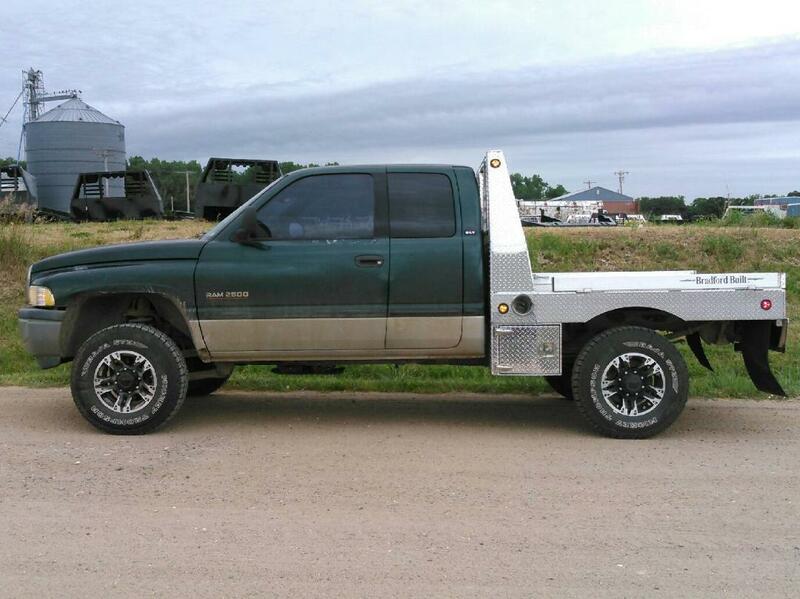 This bed is a great fit for palletized loads and towing. 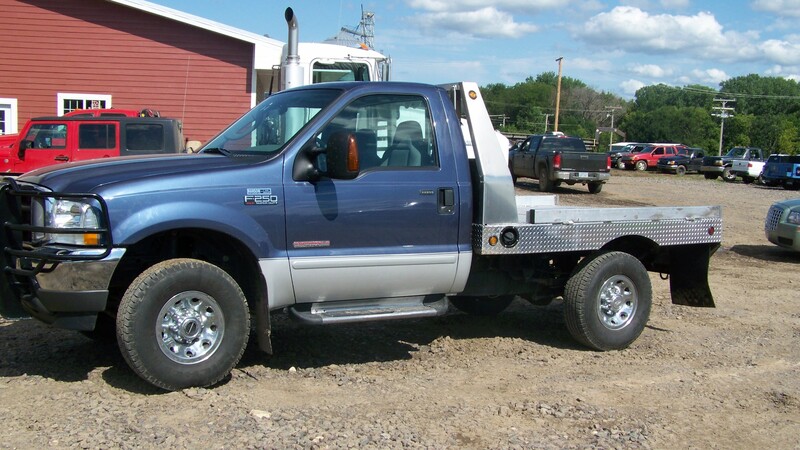 Shown with optional underbody toolboxes. All of our Aluminum beds are built with a steel subframe to give you superior strength where you need it. 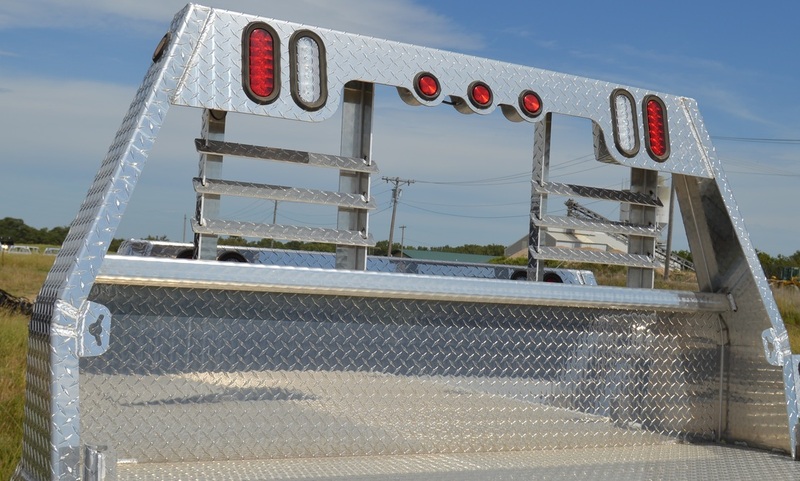 ﻿Most of our models come standard with 4" hinged siderails. 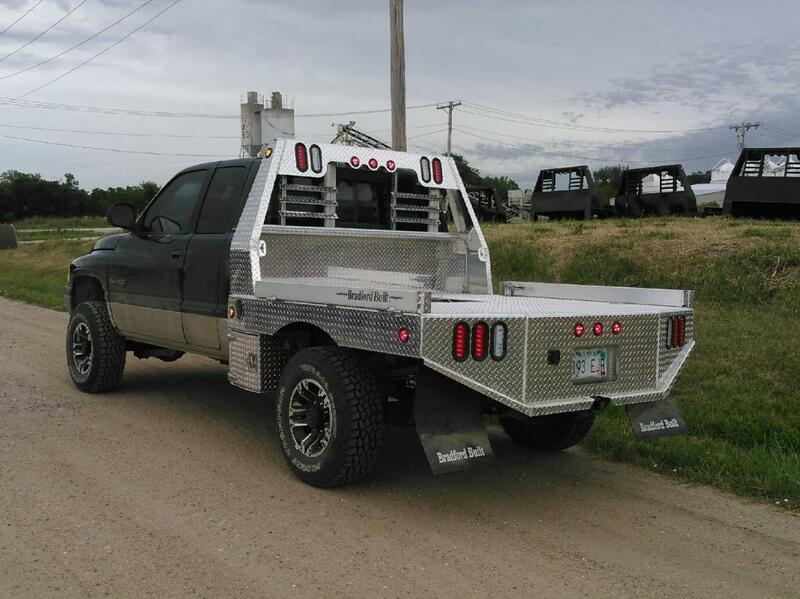 These rails have brackets at the back and at the front for a lumber tailgate. 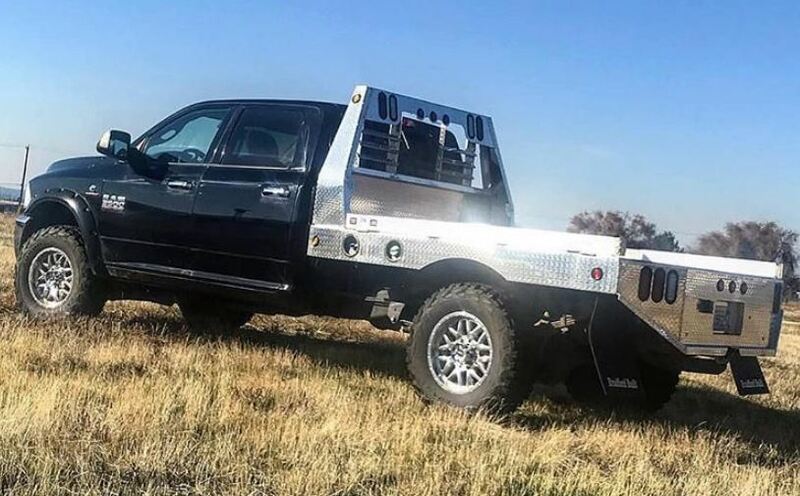 Stake Pockets come standard in the Aluminum Workbed. 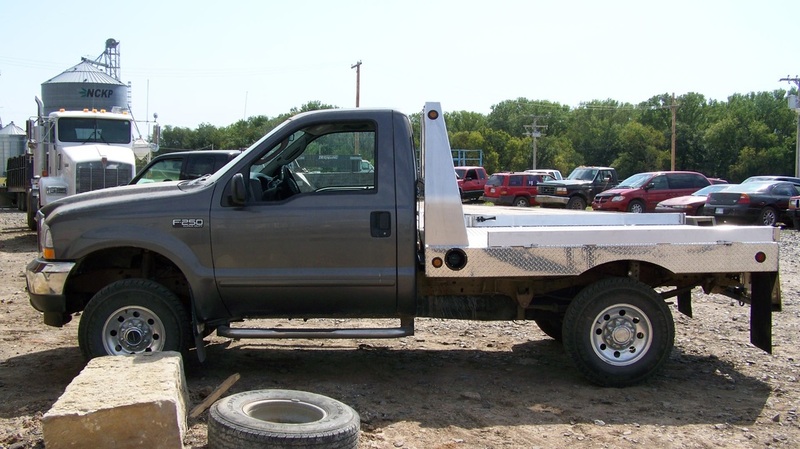 They are great for securing a load or for custom stake sides needed for your application. 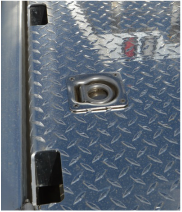 Flush mount tie down rings are added in the deck for your convenience as well.